Reading “You” will, without a doubt, make you paranoid. 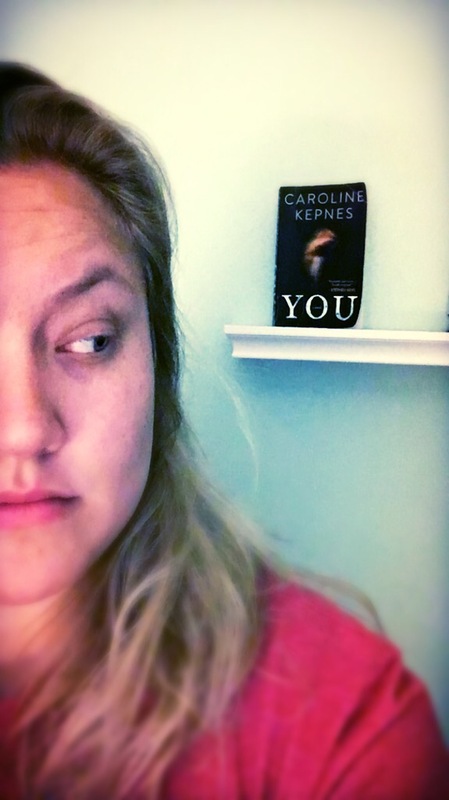 Caroline Kepnes does a horrifyingly wonderful job of capturing the essence of being manipulated. “You” is one man’s story of stalking and manipulating a woman into falling for him. Being in the age of social media, Guinevere Beck makes it all too easy for him. If you find yourself contstantly sharing your life story via the Internet, this story should/will probably be a wake up call. This story is pretty graphic with language and “adult scenes”. 424 pages of real life situations makes for a great read. This book was a difficult pill to swallow due to its nature and violence. It took me a week to read. But I give “You” a 4 of 5 for bringing this character to life, which I’m not sure helps me sleep any better at night but sure makes it memorable! After reading this book please leave me a comment with your thoughts!